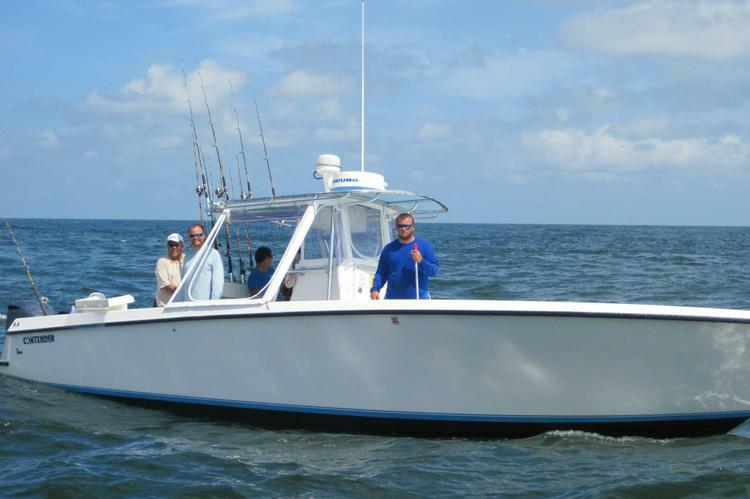 Deep Sea Fishing - Our most popular trip is a 9 1/2 hour trip up to 40 plus miles offshore. Trips depart at 7:00 a.m. and return at 4:30 p.m. 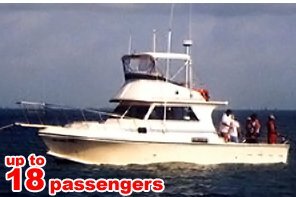 Deep Sea Fishing – Half Day – Six hour trip up to 20 plus miles offshore. Morning trips depart at 7:00 a.m. and return at 1:00 p.m. Afternoon trips depart at 1:00 p.m. and return at 7:00 p.m. Monday – Thursday: $1625 per trip for up to 6 people (plus $145 for each additional person up to 18 persons). Friday, Saturday, Sunday and Holidays: Price and schedule quoted upon request. Bay & Jetty Fishing – Half Day - Four hour trips, 4 to 8 miles from dock. Morning trips depart at 7:00 a.m. and return at 11:00 a.m. Afternoon trips depart at 1:00 p.m. and return at 5:00 p.m. Longer trips are available. Please message for information. Monday – Thursday: $735 per trip for up to 6 people (plus $70 for each additional persons up to 18 persons).